Many girls will do somersaults if they receive this personalised name print as a birthday gift, to adorn their bedroom wall. 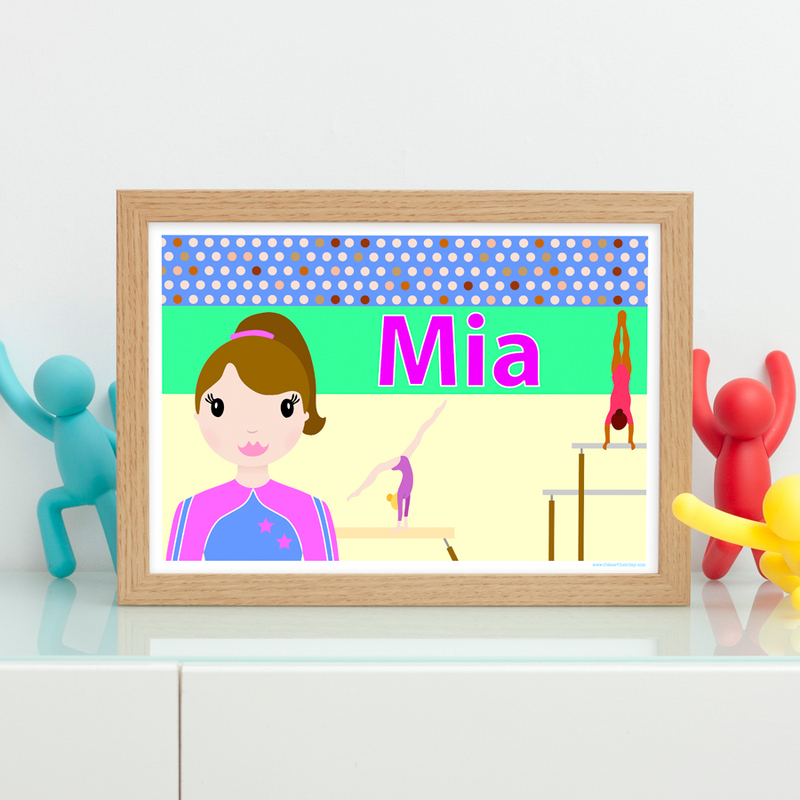 The print features a girl gymnast, from the ‘When I Grow Up…’ range, wearing a pink and blue leotard. In the background a crowd watch two gymnasts perform on the beam and the bars. Personalised with the child’s name in bright pink type, the print is available in A4 unframed, A4 framed and A3 unframed. Be the first to review “Gymnast Girl Personalised A4 / A3 Name Print” Click here to cancel reply.